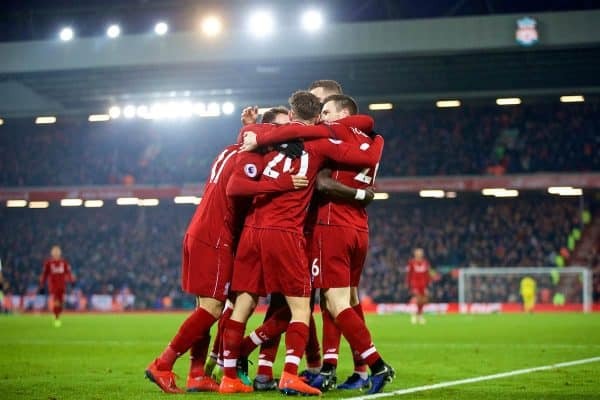 The media thought Liverpool’s 4-3 win over Crystal Palace was a throwback to bygone days and lauded their character to grind out the victory. The Reds came out on top of a crazy contest at Anfield to claim a result that was a throwback to the 2014 title charge. An incredible second-half display inspired the win, with a brace from Mohamed Salah alongside strikes from Roberto Firmino and Sadio Mane restoring a seven-point lead on Man City. Crystal Palace deserve full credit for playing their part, but thankfully goals from Andros Townsend, James Tomkins and Max Meyer ultimately counted for nothing. 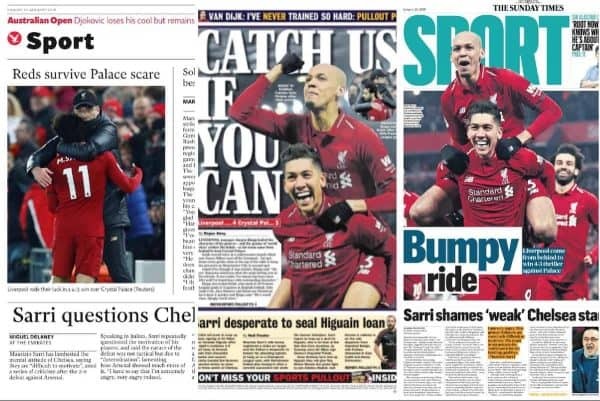 Here’s how the media reflected on the Anfield goal-fest. “Anfield had forgotten what a Jurgen Klopp rollercoaster felt like, but they got a thrilling, terrifying reminder here. “This was another example of Liverpool coming through moments of adversity with three points. “When the pressure was cranked up, they refused to buckle. Instead they stood tall and showcased their powers of recovery. “But, no matter how many blows they landed across the 90 minutes, Hodgson’s men could not extinguish their hosts’ belief, or their desire to claim another crucial three points. 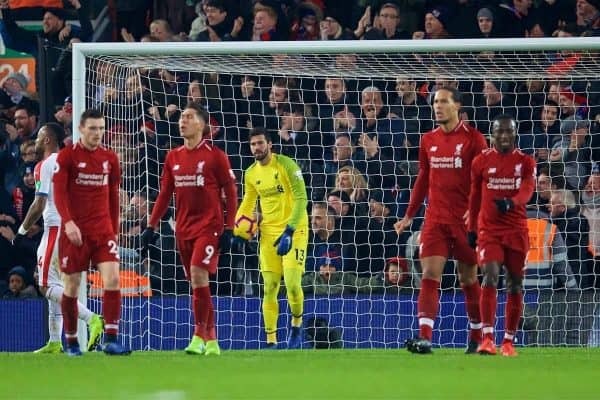 “Liverpool never appeared to have any sense of control on this game; Palace always felt they had a chance of snatching something, which left manager Jurgen Klopp furious on the sideline. “Although Crystal Palace deserve great credit for that fact, it would have been interesting to see how big a difference the injured Georginio Wijnaldum would have made. 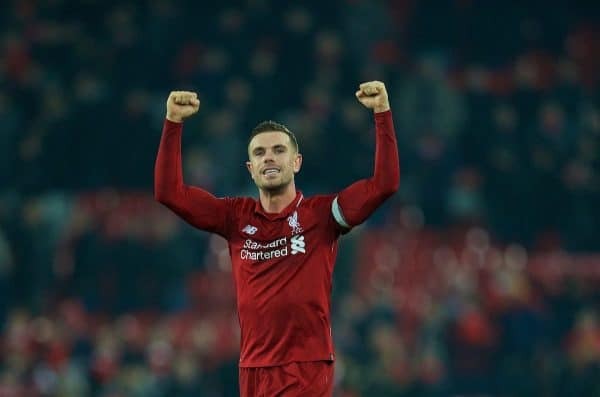 “On this occasion, against Palace, an extra-aggressive version of it didn’t work—and left the Reds wide open. “Whoever led the speech at the interval, and it was presumably an animated Klopp, deserves all the credit for Liverpool’s latest win. “When you have Mo Salah in attack anything is possible—even on the off days. 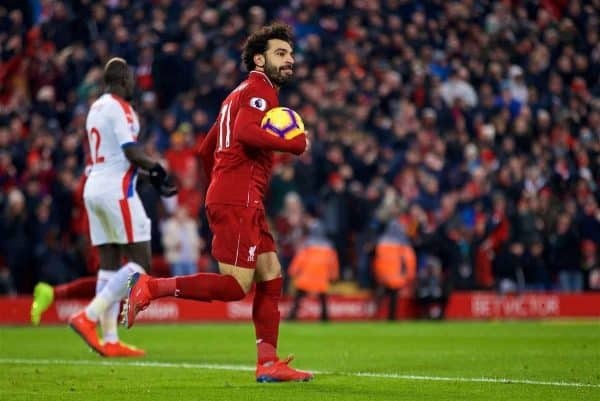 “That owes much to the fact that, as well as being utterly ruthless in front of goal, Salah also possesses that unteachable knack of finding himself in the right place at the right time over and over again. 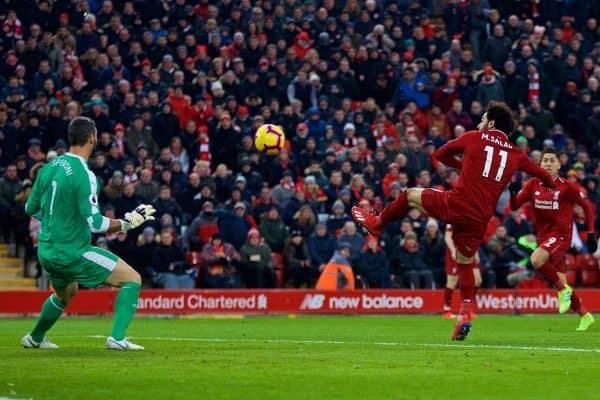 “There is a difference between drawing enough contact to topple you over and outright looking for it, and Salah did the latter when he went down in the vicinity of Mamadou Sakho. “Liverpool were frustrated by Palace during the first half, but one thing that was clearly apparent was the influence of Fabinho. “The skipper was one of Liverpool’s best players on the day, with his tenacity and quality fantastic. One lovely threaded early ball summed up his positive approach and his physicality and fitness were too much for Palace’s midfield to handle. “The Guinean may have started his Liverpool career impressively—with his best performance probably coming in the 2-0 win at Selhurst Park in August—but since then he’s been too often on the fringes of games, hoping to make an impact in them but never convincing you that he will. “City will play four times, twice in the league and twice in the cup, by the time Liverpool return to action against Leicester on January 30.